Steve Watkins is the author of two other novels for young readers, Down Sand Mountain, winner of a Golden Kite Award, and What Comes After. A short-story writer and winner of a Pushcart Prize, he lives in Fredericksburg, Virginia. In the midst of the terrible reality, realistically tiny glimmers of hope shine like candles fighting the darkness. A bleakly optimistic reminder to hold on to what is good. Watkins offers a frank view of life in a juvenile detention center... Little by little, a multi-dimensional portrait of Sadie emerges, exposing her vulnerabilities and struggles with the mistakes she’s made... [A]bsorbing and wrenching. [T]eens, especially reluctant readers, will be drawn into the tension and action. 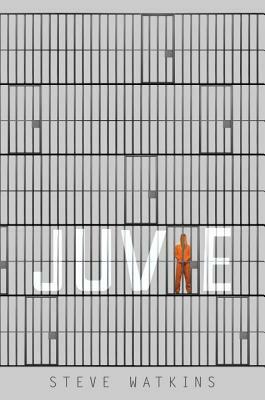 The truth of surviving juvie is told with unflinching honesty and may be an eye-opener to many readers. The subject matter should appeal to reluctant readers. The point that not guilty doesn’t mean innocent ... is subtly made, and readers may detect it through the overt story of Sadie as a strong and caring heroine making the best of a bad situation. Paint[s] a picture of a life of a teenager who struggles to make good choices. In the end, a hopeful picture emerges for Sadie and her family. This book could fit well in hi/lo collections. Compelling... A haunting story of loyalty, regret, and the fervent hope for second chances.